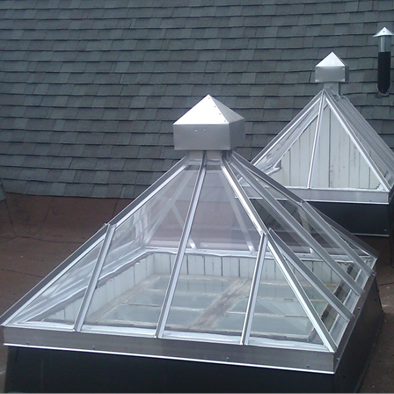 System 450 enables you to preserve the atmosphere of many historical homes during renovations of older ventilated skylights. 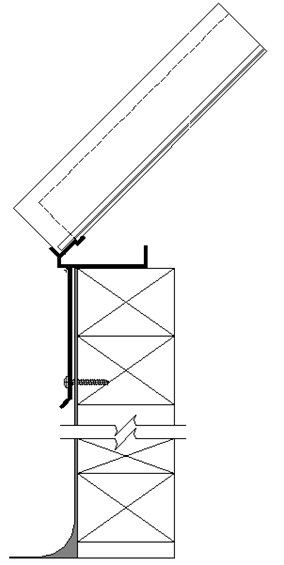 At a 45 degree angle, ventilated 450 system is composed with a light extruded aluminum frame without any risk of corrosion. 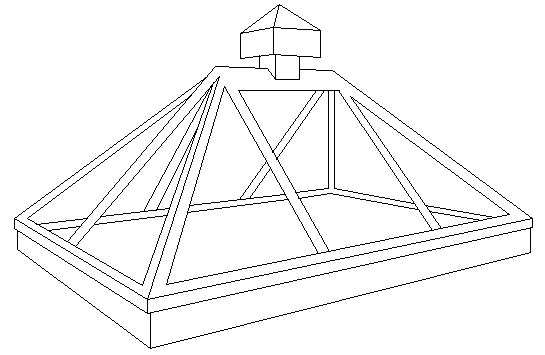 The structure conforms to the standard ACNOR CAN3-S157-M83. 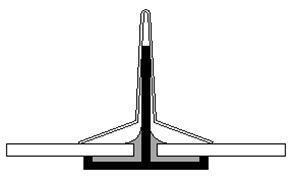 It is welded in an inert atmosphere to eliminate any risk of corrosion caused by the welding. 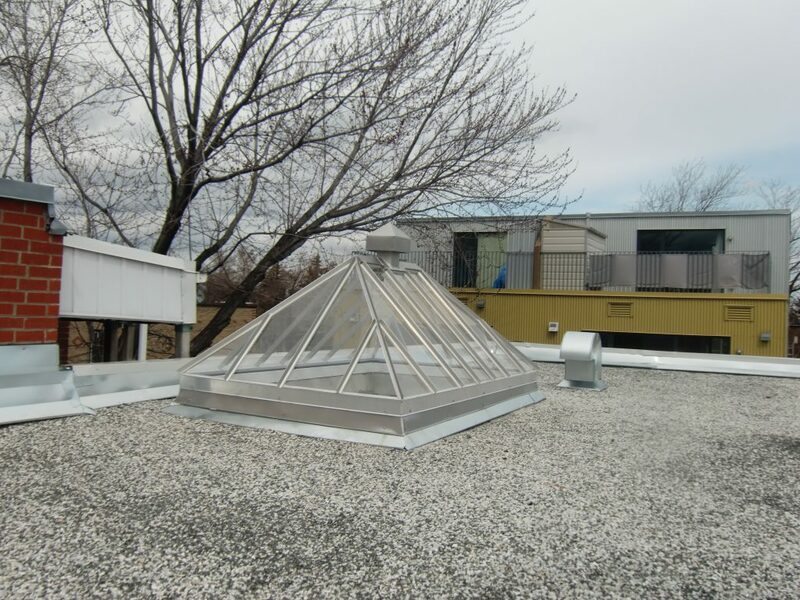 The sturdy aluminum structure and all the external components of the skylight does not need any maintenance before 35-40 years of wear unlike 5-7 years for galvanized steel skylights on the market. The skylight glass is available in clear, translucent white to preserve privacy of bathrooms or in tinted bronze. 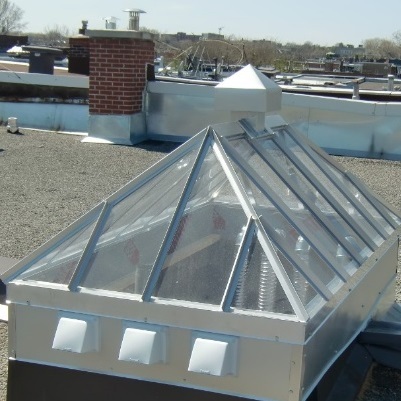 For a greater protection against vandalism, polycarbonate glazing can be used. 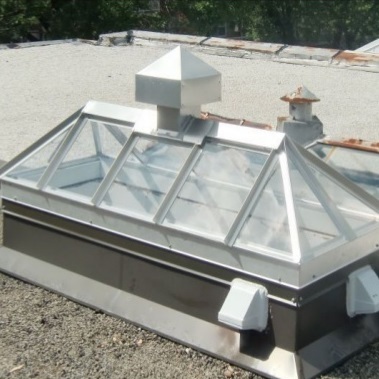 Manufacturing of pyramidal shape ventilated skylight or ridge is manufactured using special sizing and the assembly is entirely done in factory. 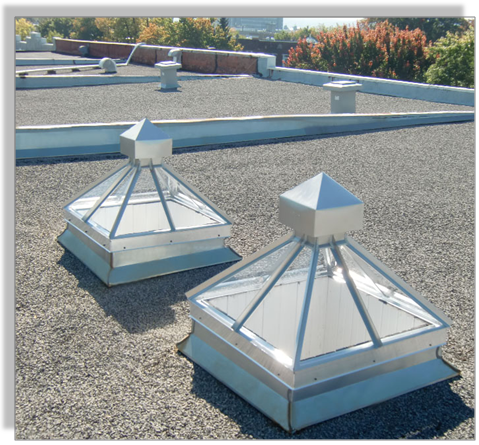 We also offer the possibility to pre-install ventilation outlets for electric fans or dryer outlets at the base of the skylight frame.